Whether the goal is to understand your own child, your child’s classmate, or a family member, reading a quality story about a character with special needs is a safe and respectful way to start the conversation. 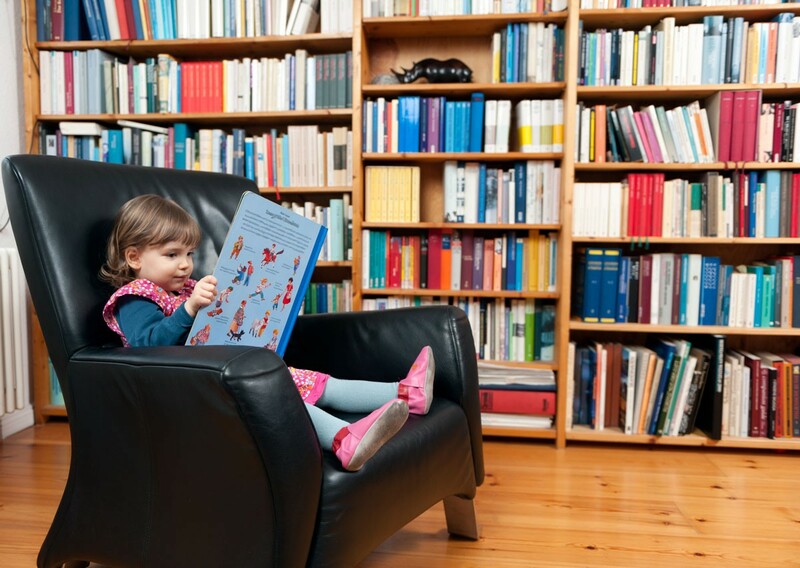 Solo Moms can use time efficiently by carefully choosing books to read with young children. Here are five picture books to start with. 1. My Friend Isabelle by Eliza Woloson (Woodbine House, 2003) shows the tender friendship between Isabelle and her friend Charlie. During their weekly playdate, they eat snacks, go to the park, and play together. They are very much alike. Though the same age, they are also different: one is fast, the other slow; one is tall, the other short. The biggest difference between them is that Isabelle has Down syndrome. With wonderful support from the adults around them, the kids learned she was in a wheelchair because she had brain damage. They also learned she likes bright colors and shopping for clothes, and that she could skate with them using her wheelchair. 3. In Ian’s Walk: A Story about Autism by Laurie Lears (Albert Whitman & Company, 1998), Ian’s two big sisters decide to take Ian, who has autism, on a walk. He isn’t interested in doing what his sisters do, which frustrates them. He doesn’t want ice cream or soda or to smell the lilacs along the way. At the park, he flaps his hands, and then, when the girls go get pizza for themselves, he wanders off. The girls frantically ask everyone, but no one has seen him. One sister closes her eyes and tries to think like Ian. When she hears the park bell ringing, she is sure it’s him. Relieved to have found him, they are more tolerant of him sniffing bricks and watching fans on the way home. The final line, when Ian gives his sisters a slight smile, is important to making it clear that Ian is a whole child, not just one whose interests may seem weird. A good introduction to autism, Ian’s Walk portrays Ian as someone who has interests, tastes, and desires; they just look a lot different than most people’s. His sisters also show a range of reactions to Ian, but most of all, they accept him as their brother. 4. In A Boy and a Jaguar by Alan Rabinowitz (HMH Books for Young Readers, 2014), Rabinowitz, a zoologist and conservationist, shares experiences from his own childhood. He works hard, tries many therapies, and eventually becomes an expert. He researches jaguars in Belize, where he feels completely at home and helps create the world’s first sanctuary for jaguars. Many children with speech and other issues find refuge with animals. The fact that this is a true story gives children and adults hope that they, too, can make a difference for those who cannot speak. 5. In Thank You, Mr. Falker by Patricia Polacco (Philomel Books, 2012), the prolific author tells her own story. She was the girl who couldn’t read. She was taunted, teased, and passed to fifth grade without any teacher noticing her learning disabilities. In the book, as each year passes, Trisha feels dumber and stupider. Though she can draw incredibly well, she can’t read, write, or count, and the other kids tease her. Polacco, also the illustrator, draws anguish in her characters and honestly shares how hard it was to go to school. She, like so many kids who are smart but can’t do certain things, withdraws and is headed for an unhappy life until one teacher makes a difference. The book is an homage to her teacher, Mr. Falker, who saw her gifts and her difficulties, and got her the help she needed to learn to read, write, and see numbers. If you have other recommendations, please email specialneeds@esme.com. We would love to hear from you!